I love developing new booktalks to share with our students at our monthly booktalking outreach. A few months ago, I posted about some books I added to my booktalking roster this year and now I thought it was time to update you once again about which books I'm excited to be talking up to kids. 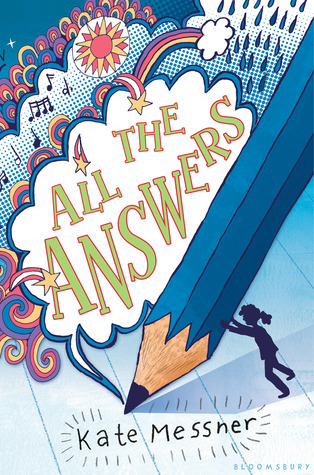 All the Answers by Kate Messner (Bloomsbury Children's, 2015). Booktalk: Ava Anderson is a worrier. She’s always asking herself “what if?” What if the girls at her lunch table don’t like her? What if she bombs the jazz band audition? What if her parents get divorced? And don’t even talk to her about tests. Even though she studies, even though she knows that she knows the answers, Ava is terrible at tests. She gets so worried and worked up that her mind goes blank and all the test answers fall out of her head. But all of this changes when Ava discovers a magic pencil that will tell her the answers to every test. It’s just an old pencil she found in the junk drawer, but its powers are enormous. Before long Ava and her best friend Sophie are trying out other kinds of questions on the pencil. It can tell them which boys like Sophie. It can tell them what their favorite celebrity is doing right at this moment. It can even tell them what color underpants their math teacher is wearing! But is it right to use the magic pencil to find out all the answers? What do you think? If you had a pencil that would tell you the answers, would YOU use it? Find out what Ava does in All the Answers by Kate Messner. I'll booktalk it to: Grades 4-6. Why it's awesome: What kid wouldn't love a magic pencil that helped them with tests?! It's always interesting to see what a group of kids will say when you ask if they would use a magic pencil. The premise of this book is an intriguing one for kids. 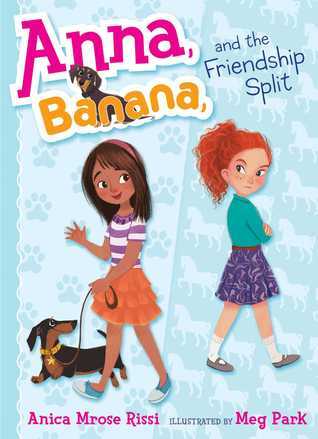 Anna Banana and the Friendship Split by Anica Rissi (Simon & Schuster Books for Young Readers, 2015). Anna has two favorite things: her best friend Sadie and her dog Banana. Anna loves that Sadie is always coming up with really good ideas, like her idea for Anna to have a picnic birthday party. And when it rained on Anna’s birthday, Sadie saved the day by suggesting they have the picnic inside and even bringing a handful of plastic ants. But at Anna’s birthday party, Anna and Sadie get into a big fight. Suddenly Sadie is acting like Anna’s best ENEMY, not her best friend. Anna’s not really sure what to do, but she knows that she needs to save her friendship with Sadie. So Anna comes up with a plan. A plan to save her friendship. But what if Sadie doesn’t want their friendship to be saved? This is a realistic story that’s sometimes funny and sometimes serious. If you like Judy Moody or Clementine, I think you would like the Anna Banana books. And if you like this book, there are two more Anna Banana books that we have at the library! Why it's awesome: This is a sweet early chapter book with a lot of depth to the story. The plot will resonate with elementary students who are navigating tricky friendships themselves. Also, a wiener dog named Banana? Awesome. Big Top Burning by Laura Woollett (Chicago Review Press, 2015). 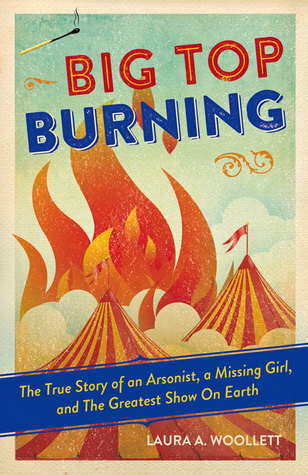 Read my booktalk for Big Top Burning here! I'll booktalk it to: 5th grade and up. Why it's awesome: It's a thrilling adventure story and a true historical mystery. I suggest this one to kids who have grown up a bit from the I Survived series and enjoy a fast-paced survival story. 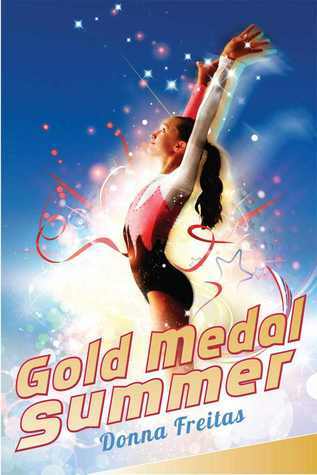 Gold Medal Summer by Donna Freitas (Arthur A. Levine Books, 2012). I LOVE to watch gymnastics at the Summer Olympics and that’s one of the things I’m most excited for this summer. Joey Jordan has known what she wants to do with her life since she was a little kid. She wants to follow in her big sister’s footsteps and become the gymnastics National Champion. But then she’s NOT going to do what her sister did, which was QUIT right when she was on top. Joey has her eyes on the prize - a National Championship and then Olympic gold. But Joey will have to deal with some distractions this summer. Her best friend who was always by her side in gymnastics class has gotten really moody and Joey is worried she’s going to quit the team. How can she face Regionals without Alex by her side? And an old friend has moved back to town this summer and Tanner has gotten SUPER CUTE. How is Joey supposed to concentrate on practice when she keeps picturing Tanner’s smile? Does Joey have what it takes to take the gold at Regionals at the end of the summer and move on to the National competition? If you love to do or watch gymnastics, this might be the perfect book to hold you over until the Olympic games start this summer. I'll booktalk it to: 5th-7th grades. Why it's awesome: This is a new-to-me backlist title, but with the Summer Olympics coming up this summer, it's a great choice to booktalk this year. There are plenty of gymnastics details to please kids who do or watch gymnastics and there's also a gentle romance and friendship story that will have wide appeal. The Great Monkey Rescue: Saving the Golden Lion Tamarins by Sandra Markle (Lerner, 2015). 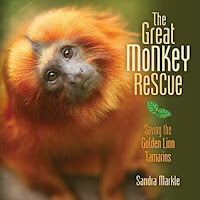 Read my booktalk for The Great Monkey Rescue here! I'll booktalk it to: 3rd -5th grades. Why it's awesome: Hello, look at the cute monkey on the front. Animal books are very popular and this book is a great combination of animal info and real-life science as scientists try to figure out how to save these cute monkeys from extinction. The photos of monkeys sell themselves! 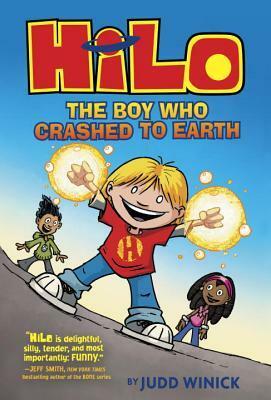 Hilo: The Boy Who Crashed to Earth by Judd Winick (Random House Books for Young Readers, 2015). DJ’s life is pretty boring. He lives in Berke County where nothing ever changes, including him. His brothers and sisters are all super talented and involved in tons of activities, but DJ mostly hangs out by himself after his best friend Gina moved away. But then one day, DJ sees a fiery streak in the sky and something crashing to earth. [Show page 16-17] When he investigates, he meets Hilo. [Show pages 18-19] Hilo comes from somewhere else, but his memory was damaged in the crash, so he’s not exactly sure where he comes from or what he’s meant to do. Between letting a raccoon loose in the school office and drinking the salad dressing when he comes over for dinner, DJ has to keep a close eye on Hilo. And little by little, Hilo starts remembering things and figuring out why he’s come to this planet. [Show page 142] Something named Razorwark is on the way and will spell doom for the entire planet, unless Hilo can figure out how to defeat him. If you like funny adventure stories and comic books, this is a great choice for you. I'll booktalk it to: 3rd-6th grade. Why it's awesome: It's laugh-out-loud funny and a superhero adventure story and the next Hilo book is coming out in May. 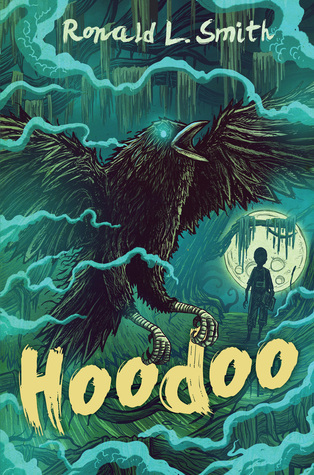 Hoodoo by Ronald Smith (Clarion Books, 2015). Hoodoo Hatcher was born into a hoodoo family, one of the many families in the Southern woods that practice folk magick. Called Hoodoo because of the heart-shaped birthmark that appears on his cheek, he has always been curious about the conjuring that goes on in his family, but he’s never been able to conjure himself. His grandmother tells him that he must really believe to be able to do it, but so far nothing’s working. Then a mysterious Stranger appears in the woods and starts showing up in Hoodoo’s dreams. And strange things start happening in the woods. Someone starts digging up graves and cutting off the hands of the corpses. And a crow appears to Hoodoo and talks to him, telling him that he must rid the woods of this Stranger or else bring certain doom down upon his family. So Hoodoo has to figure out who this Stranger is, why he’s there, why Hoodoo is the only one who can defeat him and HOW he’s going to do that (because remember, Hoodoo’s magic isn’t working yet). If you like a super creepy, atmospheric story, this is the book for you. I'll booktalk it to: 5th & 6th grades. Why it's awesome: This book is super creepy and we have a ton of scary story fans. 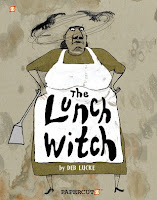 The Lunch Witch by Deb Lucke (Papercutz, 2015). I heard she doesn’t say ‘Do you want fries with that?’ She says ‘Do you want flies with that?’ I heard she pulls the legs off spiders and uses them for blueberries. Don’t eat the meatloaf: it’s made from pencil shavings from all the school’s pencil sharpeners. Believe everything you hear. 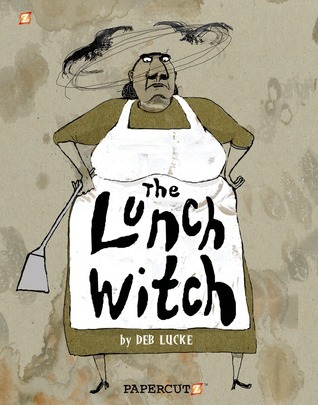 The new lunch lady at Salem Elementary is a witch. Grunhilda the Black Heart, to be exact, and she’s dying to serve you curdled milk and the most disgusting concoctions you can imagine. You see, it turns out that there just aren’t a lot of career opportunities for a witch anymore. No one wants to buy her potions, she can’t stand working at the fake haunted house, and there are no listings in the classifieds for “hags” or “crones”. So it’s to the school cafeteria Grunhilda goes. And she LOVES her new job. So when one of the students finds out she’s a witch and threatens to tell unless Grunhilda makes her a potion to become smart, Grunhilda has to play along… even if it means doing something nice for someone and really ticking off her ancestors. Things are about to get out of control at Salem Elementary. If you like a book that’s darkly funny and has a little bit of a gross out factor, this is the book for you. I'll booktalk it to: 4th-6th grade. Why it's awesome: This graphic novel is gross and funny and unlike anything I've ever read before. Kids who are looking for something a little odd will really love it. And what awesome books have YOU been booktalking lately? ?